Whether you are hosting or attending a game day party this weekend, having a game plan on how you are going to stick to your New Years resolution of eating healthy is essential. 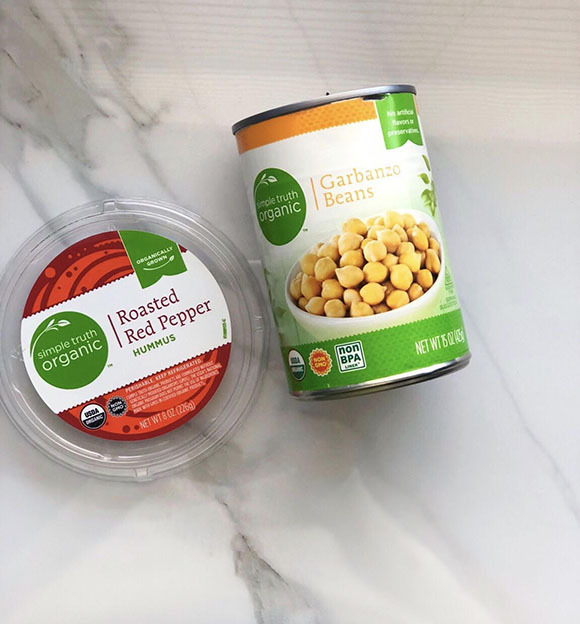 I’ve partnered with Kroger and Simple Truth to share some healthy eating tips and budget tips. 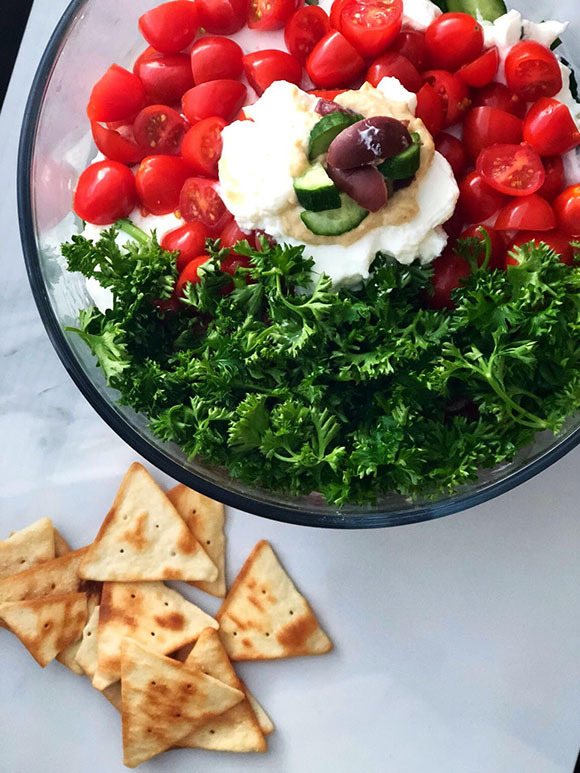 I’m also sharing a delicious 7 layer Mediterranean dip recipe that is perfect for your game day menu. When surveying the game day spread look for brightly colored foods on the table. This will signal you to go for the fresh ingredients on the table. If you follow me on Instagram you know that I take my weekly Saturday trips to the grocery store based on my #groceryhauls posts. I’ve recently gotten back on the bandwagon of clipping coupons. I hate spending a lot of money when I’m hosting a party at my house. So if you are hosting a party this weekend I highly recommend visiting Simple Truth's website to gain access to over $100 worth of digital coupons to save on all of the ingredients in my recipe below. If you are going to someone’s house for a game day party this weekend. I highly suggest snacking before you leave home this will help curb your appetite and help resist grazing over any tempting snacks. When counting calories or watching your waistline don’t get caught up in how this one-day event is going to ruin your New Years goals of being healthy. Live a little for one night if you want to. This 7 layer dip is very easy to make and can be made the night before or hours ahead of time. You’ll need a few simple ingredients Greek yogurt, roasted red pepper and original store-bought hummus, canned kalamata olives, canned artichokes, canned chickpeas, cucumbers, parsley and tomatoes.